First Call Contract Logistics Recruitment Services are currently recruiting for car drivers to work at one of the biggest car auction site in England. The auction site is located near Blackbushe Airport. your duties is to drive auctioned cars around the site. The shifts are Monday to Friday 08:00-17:00. The pay rate is £6.70-£7.00 per hours and we pay weekly. 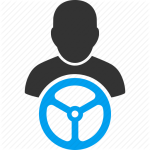 Successful candidates require a full driving license with no major penalties. The main duties will be driving the auction cars around the site and through the auction hall. This is a unique driving job opportunity, applicant could be driving anything from a Mini to a Ferrari. To apply please contact the Staines First Call Contract Recruitment office at 111b High Street, Staines upon Thames, TW18 4PQ. Call 01784 464464 and First Call Agency will call the applicants in for interviews.